In an era of the British Invasion and Motown, there appeared to be little chart room for anyone else. One of those exceptions was Johnny Rivers whose live albums may have showed he had more love of Rock and Roll than anyone else ever could. Through the middle portion of the 1960’s Johnny Rivers cemented his status on the charts with stellar live albums and singles based on the basic Rock and Roll formula. Rivers scored hits either penned by his own hand or 50’s Rock staples that were not watered down as had been done by previous performers. Switching styles as his career went on; Rivers was also a brilliant producer working in multiple genres. At present, Rivers has yet to receive a nomination, and after twenty years it has to be wondered if he ever will. 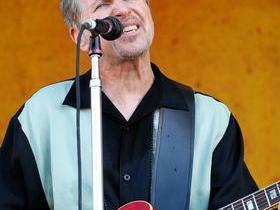 Should Johnny Rivers be in the Hall of Fame? Why they will get in: He was a dynamic American Rocker and would not be out of place in the Hall. Why they won't get in: Many of his hits were covers which may work against him. Buy your Tickets to see Johnny Rivers at Schermerhorn Symphony Center in Nashville, TN HERE for as little as $79! There is a story in the business of why JR is not in the RRHOF. There was an acetate of "Memphis Tennessee" that Elvis had been pondering cutting but was not taking it seriously. JR heard it and started playing it in night clubs and it hit. Once it was released and started to chart, Elvis got really upset about it and let everyone know about that tune got "ripped out" from under him by some "punk kid". Not sure how true it is, but sounds like the biz I was a part of for many, many years. Johnny Rivers should have been in 2 decades ago. IMO the most unappreciate d artist in RnR history, evidenced by your 223 ranking. The guy gets no love. He is a rock legend and was a pivotal person when it came to recognizing other artists. A humble man with a deep passion for rock n roll. Saw him live twice and each time I wanted to grab my guitar and jam. Soul city records is what gave the fifth demension their start. Hell yes he should be in there. Allot of people covered songs and put their own heart in to it. Johnny just did it better. Watch some of his interviews they alone show is humble quiet nature and especially his admiration for other artists as he talks about his influences I think he has a lil of all of them and created a sound that is just awesome. I would love to see him inducted and it would be an honor to be the one who gives his life story before he is announced. Some people did their thing long before the 'Rock and Roll Hall of Fame' existed, they should get an automatic entry pass, Johnny Rivers is at the top of the list, the Hall is a joke!! Yeah, maybe Johnny Rivers did a lot of covers and remakes, but Linda Ronstadt's musical direction was very similar, and it landed her in the RRHF this year. Johnny was a wonderful talent in his heyday and is definitely worthy of RRHF consideratio n.
Regardless whether he did covers Johnny Rivers talent hits you right in the heart. He is a master at his trade and should be in the hall of fame based on that talent. I was a disc jockey for 25 years and his music never missed getting people on the floor and enjoying themselves. We saw him in Toronto 1975 at the Beverly Hills. So much fun. They finally put Neil Diamond in last year. Get with the program. I do not think there would be any question if Mr. Rivers had not had to cover so many of his songs, especially from the Motown sound! His Go Go music was very popular in the 60's and his career was definitely long enough. But having the monikker of the Pat Boone of the 60's will always hold him back. I would have a hard time putting him in and I love his music!